I have acquired new converts to join my ramen cult. Muahaha! 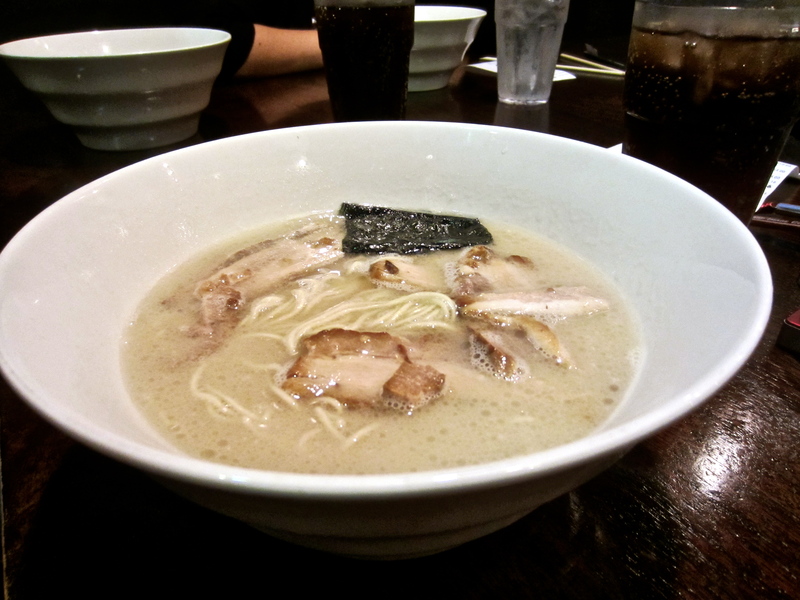 After a Matthew Jude Band gig at the Joint in LA, I thought I’d take some friends on a late night ramen run at Tatsu. Half of them have never had ramen before so I was pretty excited to be part of their first ramen run! There was actually a large group of us there, but I didn’t take any photos of myself, Matthew Jude, and Angie. You’ve seen enough of our faces anyway. 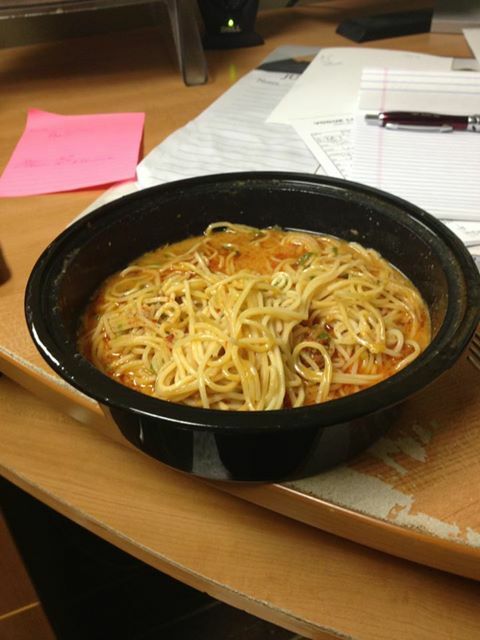 Everyone enjoyed their ramen, especially the newbies. I liked my Red Ramen, but I’ve had better spicy ramen elsewhere. 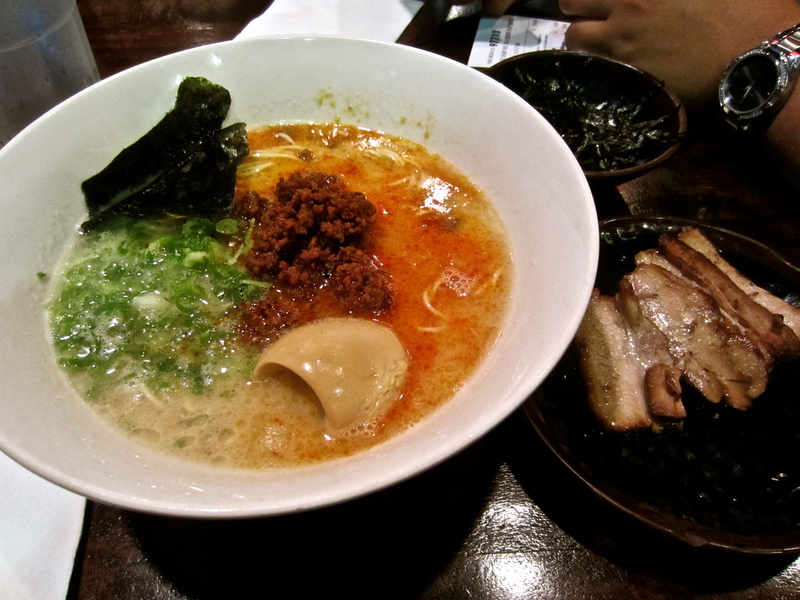 It reminded me of the spicy pork ramen I get at Ajisen, but Tatsu uses spicy ground beef instead. Not bad though. Kelly couldn’t finish hers so she took it to go. Kelly’s ramen the next day and she said it was still good! It’s too bad our bass player, Sean, couldn’t join us. 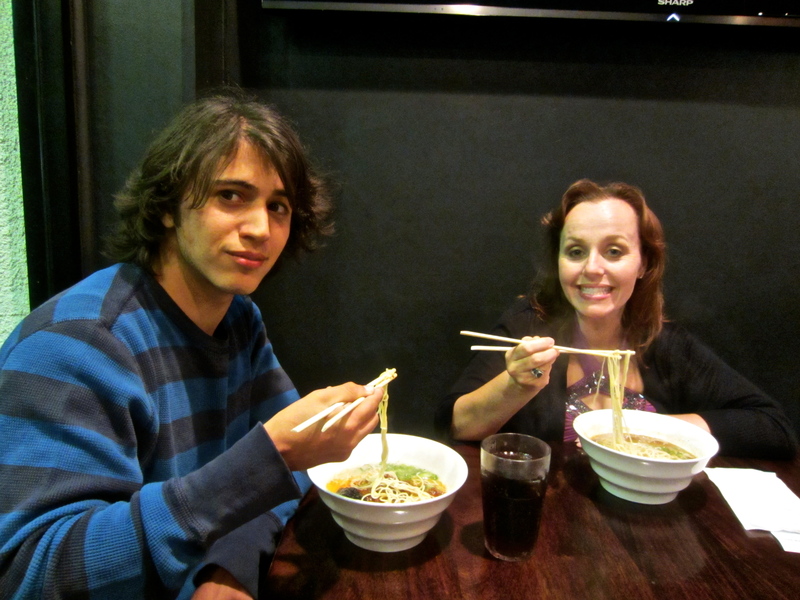 This would have been another episode of the Matthew Jude Band Go on a Ramen Run series. 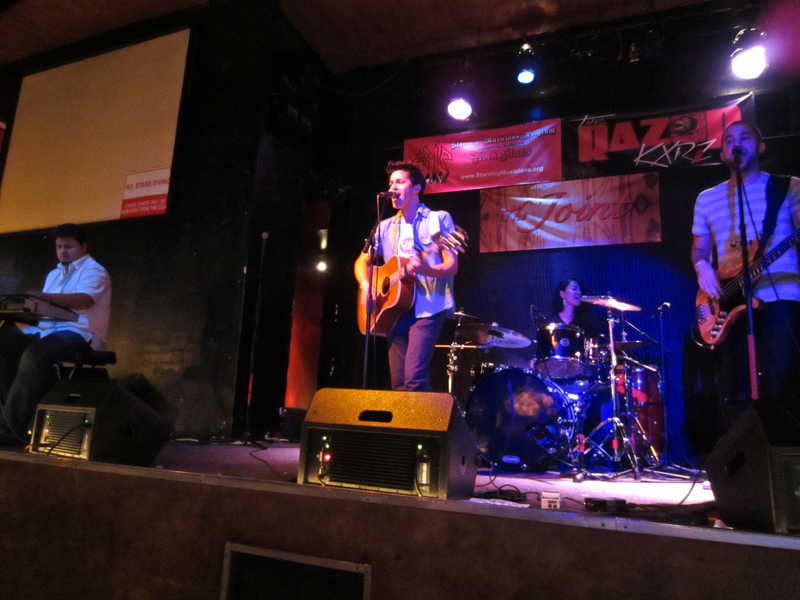 But here’s a photo of us, the Matthew Jude Band, playing at the Joint. Check us out sometime! Check out the band taking a bite out of their microphones and cymbal! FYI: I remember seeing on Tatsu’s menu that they have a gluten-free option. It’s pretty much just a side of rice instead of the noodles, in case you wanted to go to Tatsu and are gluten-free. 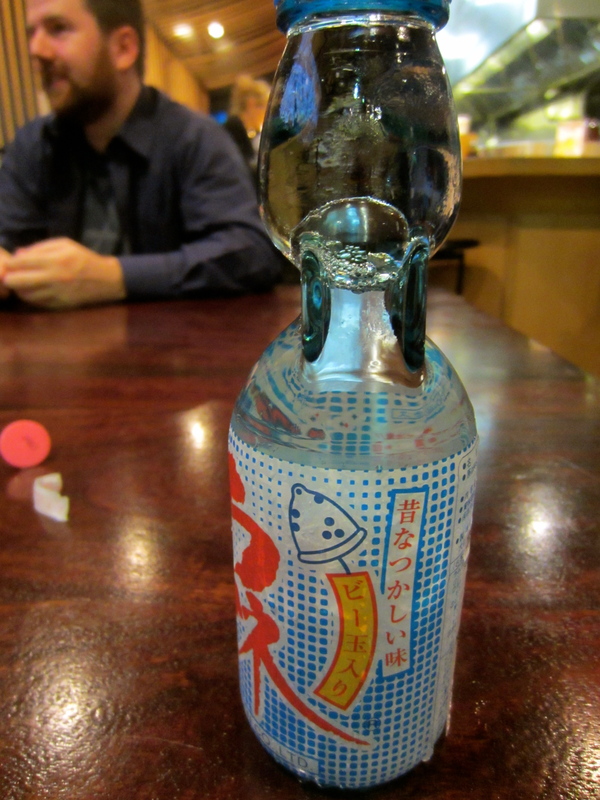 Parking in Little Osaka can get pretty crazy and not free. (Unless you can find some in the surrounding neighborhoods.) But late at night, parking is plentiful and free, right in front of the restaurant. This entry was posted in Food, Little Osaka, Los Angeles, Matthew Jude band, Ramen, Ramen Run and tagged Gluten-free diet, Little Osaka, Los Angeles, Ramen, Tatsu. Bookmark the permalink. 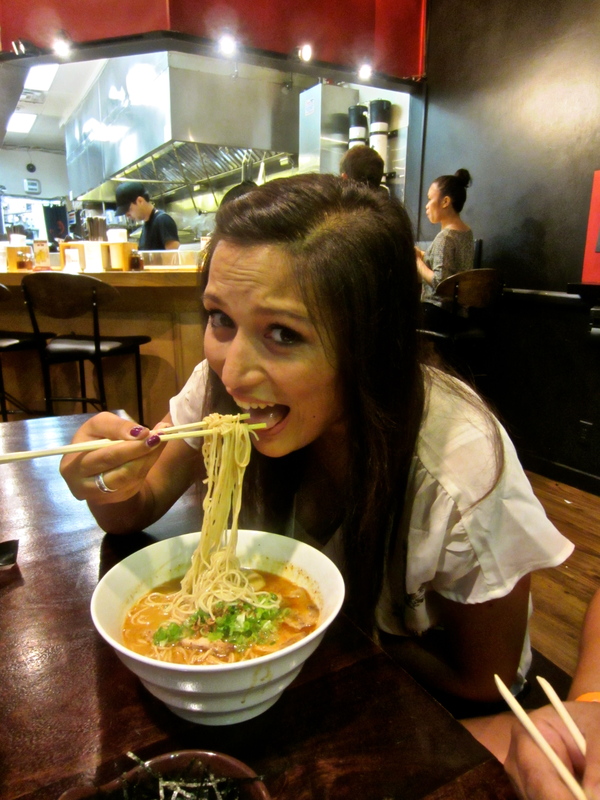 I made the Ramen Run Blog! Now I am finally happy. I hope you’ll join us for more ramen runs!